Brocade products turn Possibilities into realities. Through industry transition and technology evolution. For large and small businesses, service providers, and the public sector. Our proven data and storage network fabrics, state-of-the-art virtual devices, management tools, and open approach are ready to support your success. With High Performance Computing (HPC) from HPE, you can overcome the barriers to supercomputing and compete in increasingly aggressive markets. When you are tasked with solving the world’s largest scientific, engineering and data analysis problems, you need the planet’s most powerful, most efficient machines. Simply put, virtualization is an idea whose time has come. The term virtualization broadly describes the separation of a resource or request for a service from the underlying physical delivery of that service. With virtual memory, for example, computer software gains access to more memory than is physically installed, via the background swapping of data to disk storage. Similarly, virtualization techniques can be applied to other IT infrastructure layers - including networks, storage, laptop or server hardware, operating systems and applications. 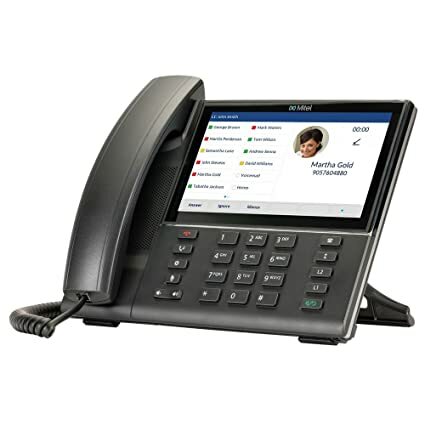 Bussines Phone system t he heart of your communications technology, a modern business phone system does far more than just voice. Get it in the cloud, on-site or hybrid. Device and accessories from basic to advanced,From one user to many ,From analog to SIP to Bluetooth integrated sets and accessories, we've got quality devices to help make sure the right voices are heard. Fanvil IP products are using world-leading class chipset solutions. Fanvil has a strong engineering team and solid partnerships with IP communication chipset providers, such as Freescale, DSPG. Fanvil Technology is strategic partner of Broadcom. Improve your inter-office productivity and relationship with your customers, talk and share your screen or presentation with up to 4 participants located anywhere in the world, record your meetings in HD definition, reduce the occurrence of post-meeting information loss, instant share snapshots using your mobile or zoom in and out with a x7 optical zoom and rotate your cameras with a click. Business travels for meeting or training purposes can be tiring and costly. Now more than ever is the time to deploy fiber broadband connectivity and take advantage of OSINet budget-friendly conferencing solution to have your real-time meeting, training or presentation without the hassle of packing. We have been creating the internet of things (IoT) for over 20 years now and we want our products and solutions to be used globally and to become indispensable in any business. Our team of professionals is the key to our success. This is why our efforts to help our employees are our primary priority: we want to meet our employees’ expectations, take into account their wishes, provide them with opportunities, and ensure a friendly working environment, understanding, peer help, learning opportunities, ongoing improvement and personal well-being. We are eager to understand and cherish every customer, which we can and must help to create the maximum value possible and to avail of all the opportunities offered by the internet of things (IoT) in the customer’s business. And, what is most important: we want to work together and be able to promote and share good things with people who need our help most.